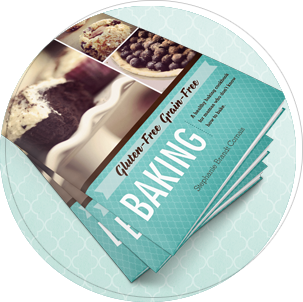 You are here: Home » Blog » Food » Gluten-Free Grain-Free Baking: My New Cookbook! 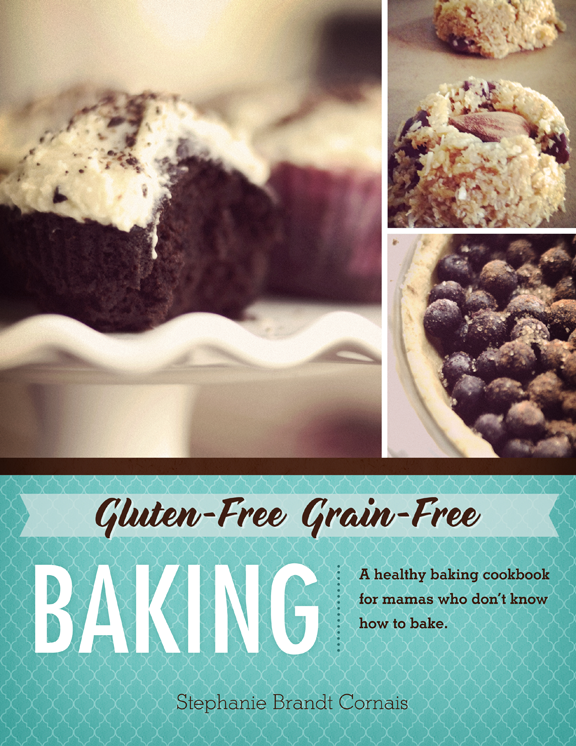 Gluten-Free Grain-Free Baking: My New Cookbook! I am SO excited about this cookbook! People will tell you baking is hard – and grain-free or gluten-free is even harder. I’m here to tell you exactly the opposite. It’s easy. I’m known for doing things the hard way, trial and error and teaching myself how to do things. Before running this website, I owned a yoga studio and I learned a LOT of business lessons the hard way. I call it my MBA in the school of hard knocks, or my MBA on crack, but M+BL School of Business is probably the most apt name since I am back in school again (as are many people that are working for me now, like my bookkeeper, a recent accounting grad who wanted to work for me to learn). Well, anyway, my long winded point is that baptism by fire has been the only way I learn anything, and same is true for publishing online. I had no idea what I was doing when I first started, but I taught myself everything or found someone who knew how to do it for me. 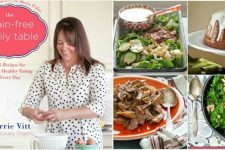 My first cookbook (From Your Freezer To Your Family: Slow Cooker Freezer Recipes) is pretty darn amazing, especially the more I look at other bloggers’ ebooks and realize the high quality of my books. But honestly folks, this baking cookbook blows it out of the water! It’s so beautifully designed, artfully and thoughtfully written and arranged. So many gorgeous pictures. Really, it’s stunning. And here’s the best part: You don’t need to know how to bake to read and understand! 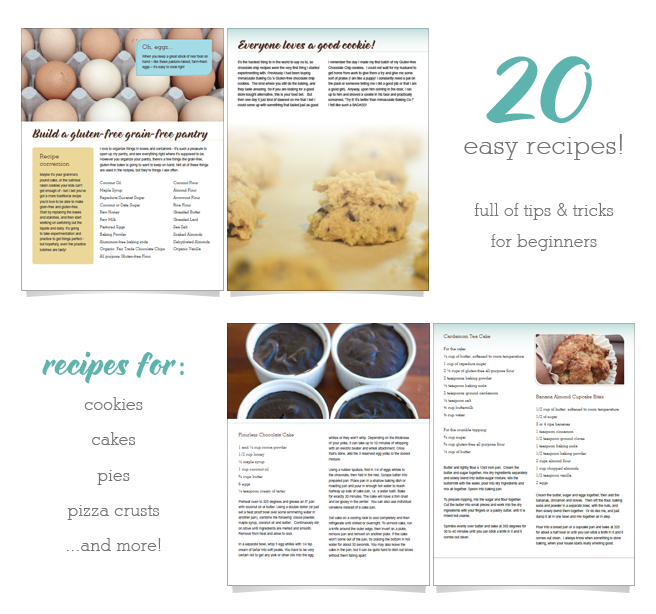 Just because I learned to bake the hard way doesn’t mean you have to – my book will make it easy to jump into the kitchen with confidence and start making delicious grain-free/gluten-free cakes, cookies, pies, and more. Years ago I would read cookbooks and practically throw them across the room in disgust because I couldn’t understand the lingo or the directions were written in a way that only a skilled home cook would understand. But not my cookbook! 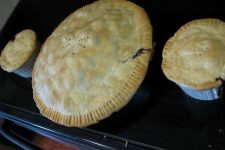 It’s perfect for beginners; everything is explained in an easy way and I promise you will be able to make these recipes. If you can’t cook and you can’t bake – this book is for you. I taught myself how to cook, and then I taught myself how to bake. I’ve been a baker my whole life. Two years ago I found out I allergic to wheat and chocolate. It seemed the end of the world to me so I stopped baking. I’ve read through your cookbook and think I can do it again. I still miss cookies and chocolate, but at least I can bake something again. Thank you. Just wondering, if the recipes are also egg-free? I recently found out that I’m allergic to gluten, wheat and eggs and I’ve been struggling to find foods that are both gluten free and egg free. in place of every 1 egg. Hope that helps! Also check out the GAPS Diet, you can heal your food allergies after a bit of time on the diet and then eat like normal again! My son has an egg allergy, and depending on what it’s for, we use 1 TBS flax meal with 2 TBS warm water for an egg. We use that for the majority of recipes and it comes out fine! Yes, that is a good one too, thanks Jessica! 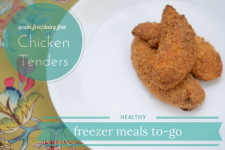 I noticed on your website that “From Freezer to Your Family” has a listing of the recipes included on your website. Do you have available the recipe listing for this book as well? Thank you. I have your crock pot cookbook and would really like to get this one too. 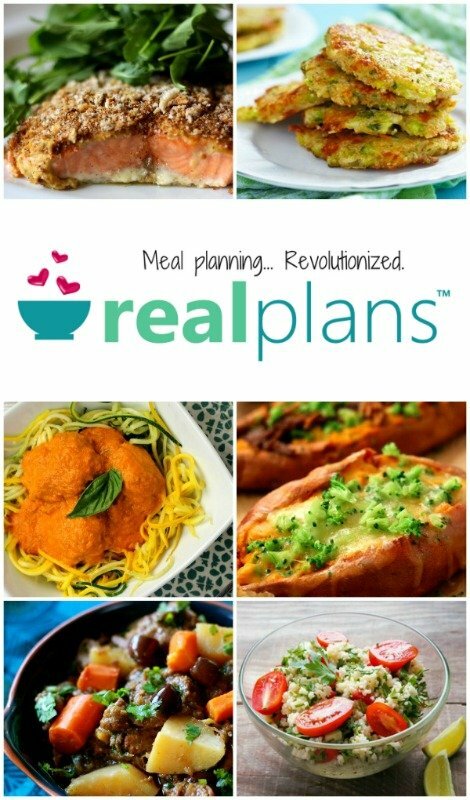 Are your recipes grain free or gluten free or both? Also, do you use natural sweeteners like honey or molasses in your recipes or do you include sugar? Are these recipes free from refilled sugar too? Will you release an e copy? We have the freezer book and like it. Yup, I use natural sugars instead of white sugar. And yes, I already have an ebook version out. You can click on the store menu tab at the top and scroll down to the ebook version to buy. Once payment clears, you will be emailed a link to download the copy right away! Are these recipes dairy-free? Thanks! I hope to buy the e-book. Not all of them, but some and I do talk about alternatives. Do these recipes use xanthan gum? My stomach doesn’t tolerate it or other gums that are usually used in gf baking. Some do, but not a lot. I offer alot of alternatives to regular all purpouse gluten free flour and explain ways to use flours interchangably. Hi! I ordered both of your cookbooks and was able to download the freezer meal cookbook on my ipad (opening it on my nook app) but for some reason something happened in the process of downloading the gluten free baking book, my browser closed and I’m not sure how I go about downloading it again? Thanks for your help! Also, I have a 10 month old that I’d like to keep grain free for the first 2 years – any lunch ideas to pack for grandmas when I go to work? Thank you!! You should be able to download from the link provided in the Ejunkie email several times. Does that work? when will this book be available in paperback or hardcover? thanks! I have been eyeing both the Freezer to Crockpot book and the Grain-Free Book and think I want them both. Do you offer a package with both books, or just buy them seperately? I was wondering if you could please post up the list of recipes, and the “pantry” list so that it is readable please?